Lush, reticulated reggaeton, deep house and breakbeat fusions from man o’ many monikers, Brian Piñeyro (Deejay Xanax, DJ Wey, Luis) as DJ Python, following the sterling example of his ¡Estéreo Bomba! Vol. 1 for Antony Naples’ Proibito with an immersive expansion of that sound in Dulce Compañia. Taking reggaeton along new, instrumental routes intersecting NYC’s rave history, DJ Python has pretty much cooked up his own style of deep reggaeton, a title which should probably be taken with a pinch of salt, but serves well to identify his angle amidst an upswell of LatinX producers who are spinning dembow beats and tropes into all kinds of new spaces - from DJ/Rupture and co, to Florentino and Kelman Duran, for example. Almost as close to the sound of Ben Cenac’s Dream II Science, new age experiments from Laraaji, or even Andy Stott as any of the above, Dulce Compaña finds Python alloying reggaeton’s nagging, signature bump with chiming electronic meditations in Las Palmas, and with squashed jungle breaks in the style of his Deejay Xanax alias on Cuál, both setting the innovative, deviant agenda for the rest of the set, recoiling from eyes-shut ambient rave infusions on Todo Era Azul (Version Afuera) and its cosmic Siempre Dub, to something like B12 on holiday in Caracas with q.e.p.d, but also making room for more rugged swerve in Acostados and the acidic tang of Yo Ran(Do). 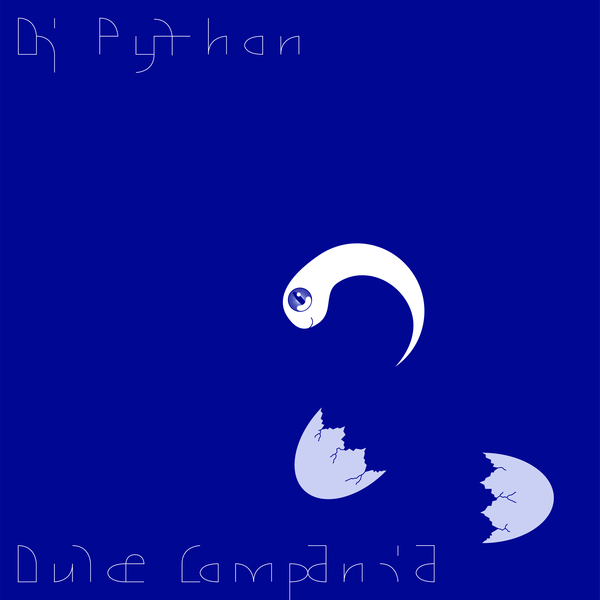 But if any one track is going to melt your pants off, it’s the plasmic, aerial ambient shuffle of Esteban, which provides the sweetest window on Piñeyro’s unique Python sound, and everyone will know what to do next.